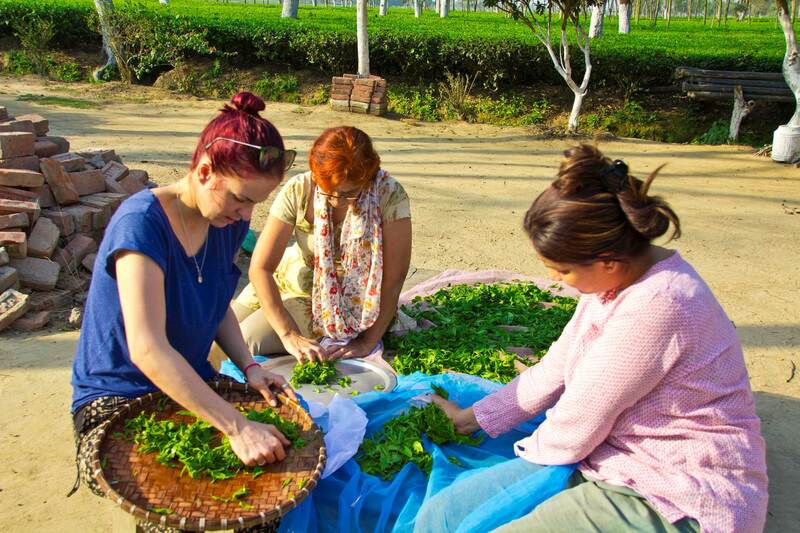 When I travel to tea country I am searching for teas; but the most memorable thing is always the people. Sometimes it’s the beginning of lifelong friendships, sometimes it’s a just a chance encounter on a dusty road. But I remember the people and keep them in my heart, long after I’ve sold out of the teas. Since March is Darjeeling month I wanted to show some of the wonderful people of Darjeeling I encountered on my last trip to India. In the offices of Darjeeling tea master and exporter, Rajiv Gupta, receiving a book on Darjeeling he helped produce. Sudhanshu Kumar Shaw and his manager by the rolling machine at Giddapahar Estate. 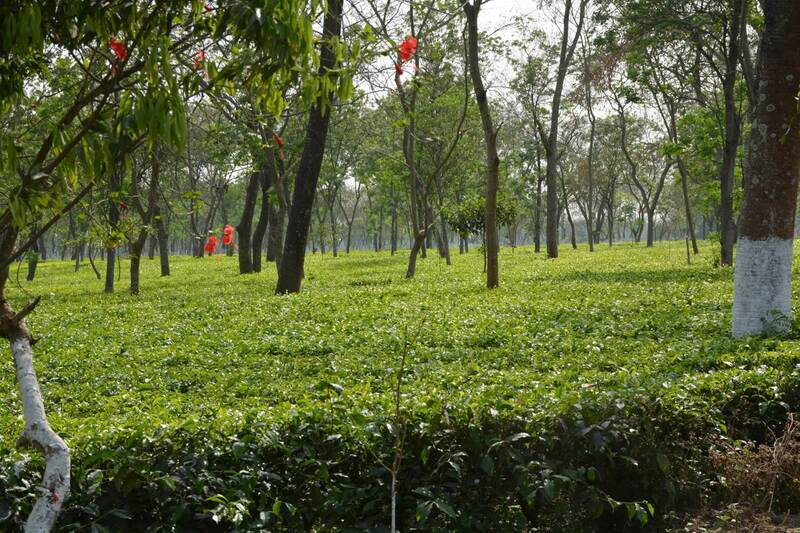 This is one of our favorite Darjeeling tea gardens. At Goomtee Tea Estate, they also have a small greenhouse. Here is the assistant manager of the Goomtee factory making sure I have some fresh flowers when it is time to hit the road. I took a long walk near the Goomtee Estate, these four teenage girls asked me to take their picture. Immediately after which, they cracked themselves up. Tea pluckers at the Rohini Estate. 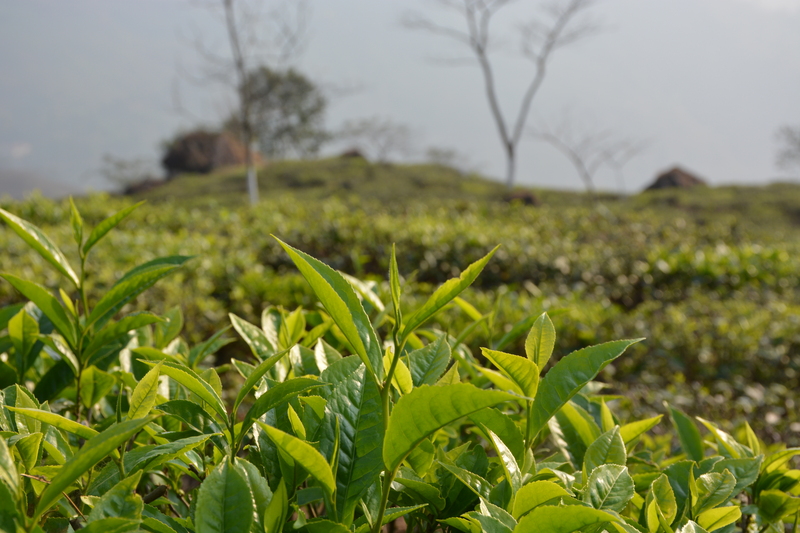 One of the few spots where the Darjeeling tea fields are not scaling up a mountainside. Enjoying tea at a road-side café in the mountains of Darjeeling. Watching Indian milk tea being made at a stall in Darjeeling near the Nepalese border. Kids hanging out, while Mom (see above) makes milk tea, and dad laughs in the background. Cupping teas at the Castleton Estate with one of the assistant managers of the factory making the tea. You can tell they are first flush teas by light golden/yellow color. Having way too much fun tasting teas, with the manager of the Belgachi Estate, on the outskirts of the Darjeeling district. As we were standing for our formal photo, he suddenly leaped and shoved that bag of tea into my hands. 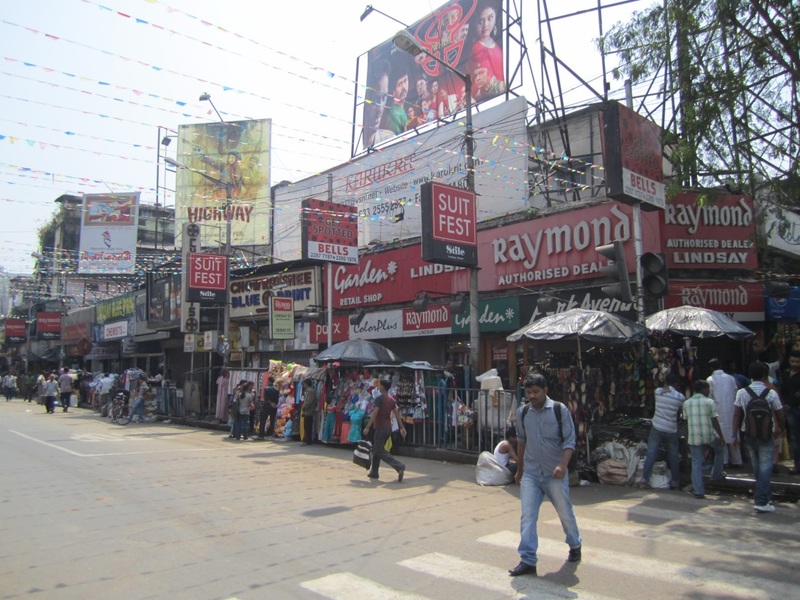 Siliguri (the largest town in Darjeeling District); two ladies out and about. 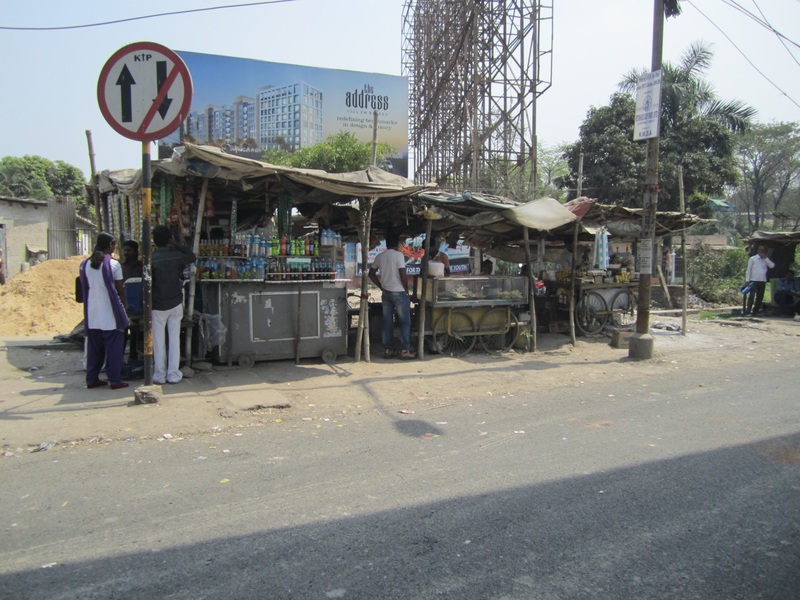 A vendor greeting his customer in the Siliguri market area. A chai wallah selling her chai on the streets of Siliguri. Kids, on their way home from school near Kuresong, Darjeeling. Lots of school kids hitching a ride home at the end of the day. A retired veteran of the India Gurkha Rifles, living the good life on the Nepal/Darjeeling border. One of the most interesting men I’ve ever met. Walking down the road in this same Darjeeling/Nepal village, Dilma graciously invited me into her home for tea; milk tea it turns out—she had to run out and milk the cow and get some fresh milk. Dilma, in the living room of her lovely home; with home-made fried sweet bread to go with the tea. She was incredibly gracious and hospitable to a couple of strangers walking down the road. Rajah Banerjee, the first organic planter in Darjeeling, and the patriarch of Makaibari Tea Estate. Planting some new tea plants at Margaret’s Hope Estate. These guys were playing soccer on the dirt road separating two fields of tea plants in lower Darjeeling. 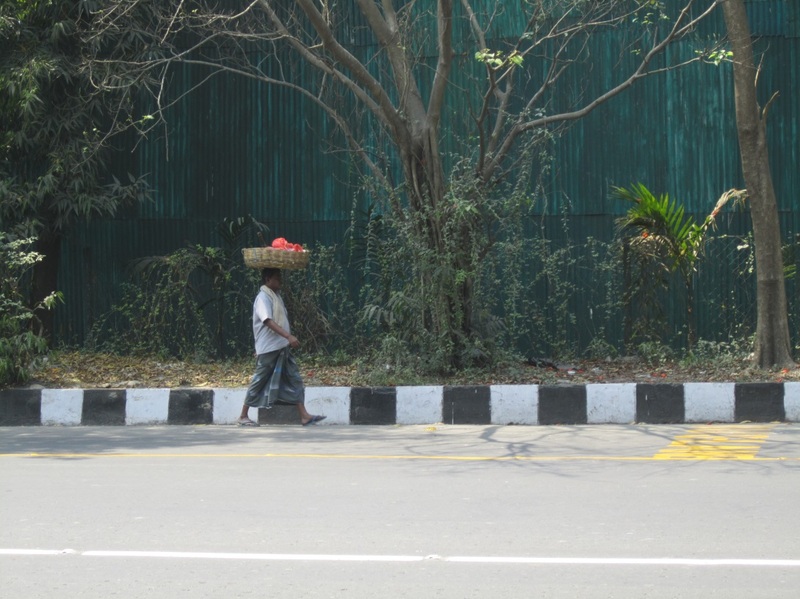 Most of them had family working on the tea estates. Wherever you go, whatever you do, it’s the people that matter the most. (although a good cup of Darjeeling can be amazing). All photos property of TeaSource, and may not be used for commercial purposes without express permission. It’s not very often that I say those words. But it happened while I was in India last spring. 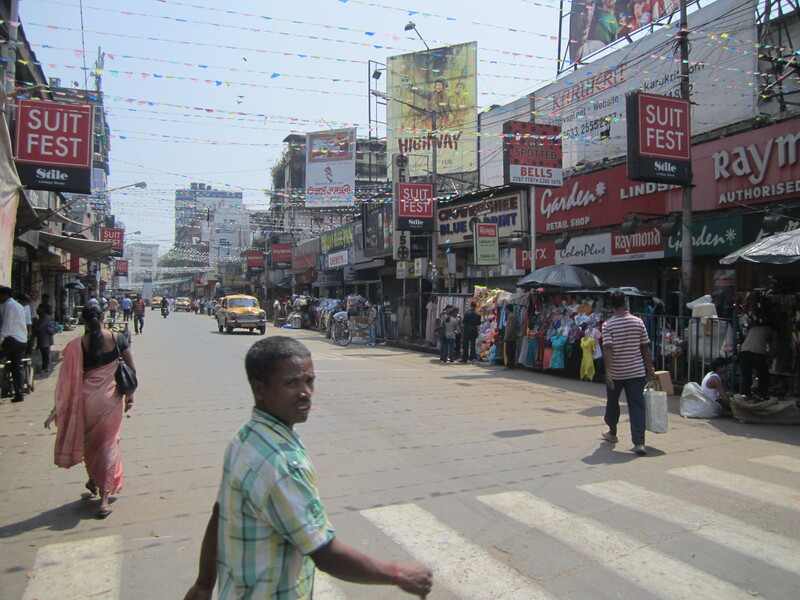 Almost every tea place I stopped in – street stalls, tea broker’s offices, tea gardens – I would be asked if I wanted tea. Of course I would say “yes.” I would be asked if I wanted “black tea” or “milk tea.” At first I thought they just meant a black tea served with milk on the side. But it became clear this was not what they meant. So of course I asked for it. Then asked for it at the next place, and the next place … It’s reaalllly good. It is strong, sweet, smooth, milky (duh), and the method of preparation totally took me by surprise. In the interest of full disclosure, my wife did not like it but EVERYONE at TeaSource did. 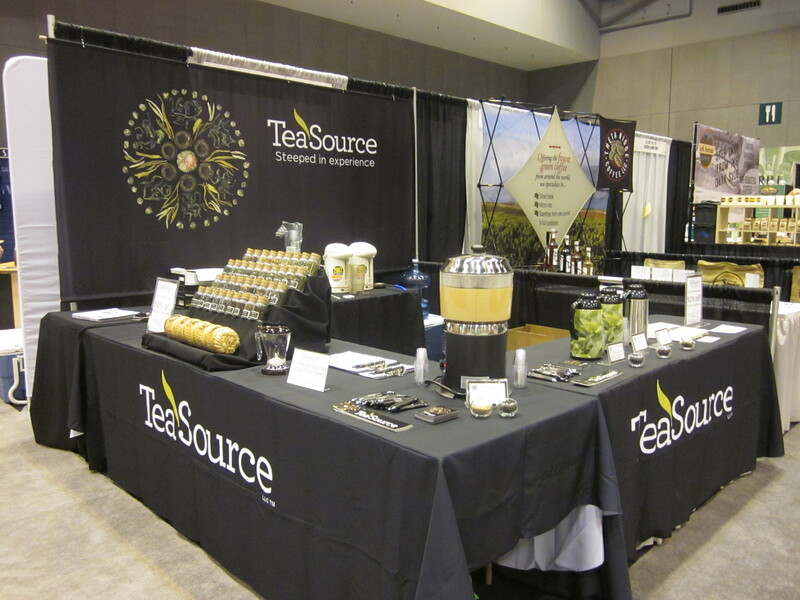 Over the last weekend of May, the World Tea and Coffee Fest descended on Long Beach, CA and St. Louis, MO respectively. TeaSource exhibited at both, an exhausting but thrilling experience that we’re still recovering from. 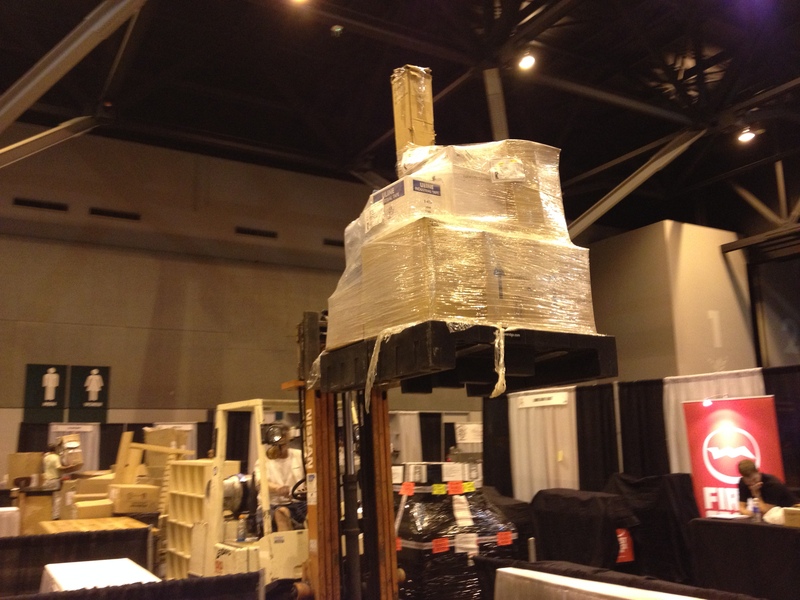 Bill, Michael, and warehouse specialist Ryan were in Long Beach while manager Sarah and I went to St. Louis. Coffee Fest is a fun show to be at, especially as a tea person. I learned a ton about coffee, especially coffee importing, and got to spread the word about how easy it is to make a quality cup of loose tea. I even got to teach a class on the subject on the very first day of the show. Over the course of the weekend we met with dozens of people in the coffee industry, from people opening new shops to people who have been importing and roasting for a decade or more. While talking with everyone was great, my favorite conversations were the ones that started with someone saying they didn’t like tea and ended with them taking samples because they loved our tea. Far and away the most popular tea was Iced Red Berries. People were glad of a refreshing, caffeine-free option after all of the coffee samples! Iced Green Tea Mango was another one that people couldn’t stop raving about. 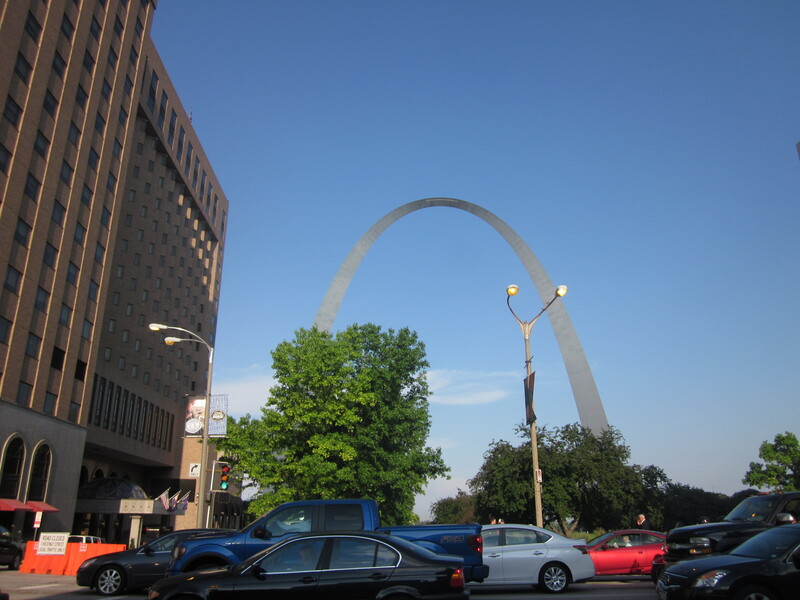 The weather was hot and muggy while we were in St. Louis, so people gravitated toward cold teas. Even though iced teas were popular, we got many questions about how we make our house chai. 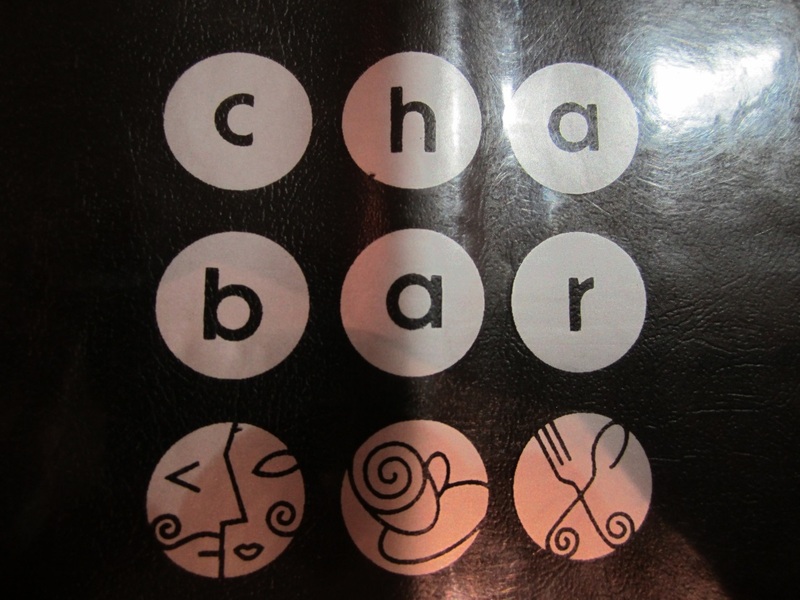 Making a fresh and delicious chai is an easy way to impress your customers (or your friends!) and can be very easy to do! You can find our recipe here. Prohibition began in 1920 and ended in 1933. 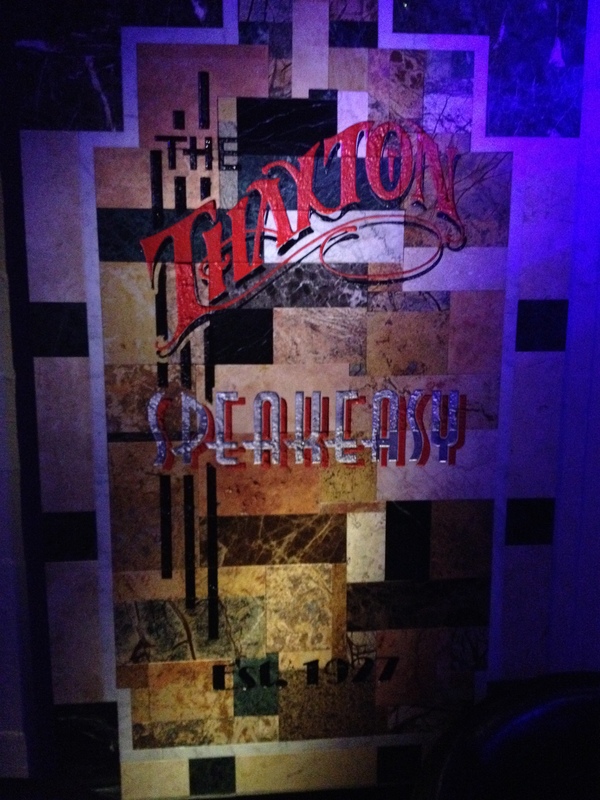 The Thaxton Speakeasy was established in 1927. Being in St. Louis wasn’t all work, however. 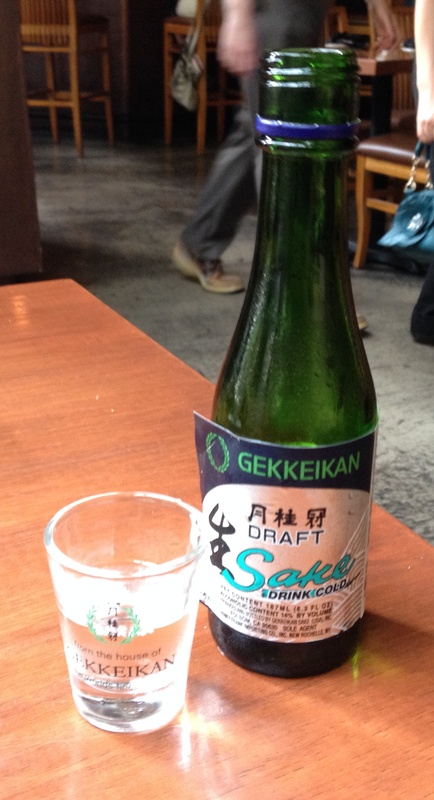 Sarah and I got a chance to sample beverages of another kind, including sake, and drinks at a real, password protected speakeasy founded a few years before Prohibition ended in the U.S. Trade shows are an opportunity for us to learn from other in the beverage industry and bring our passion and knowledge to new people who are thinking about taking the plunge and opening their own tea or coffee shop. All the work of planning a trip of this kind leads up to being able to do one thing: have conversations with others about how great tea is. It's challenging, but handing a sample to a new tea drinker makes it all worthwhile. 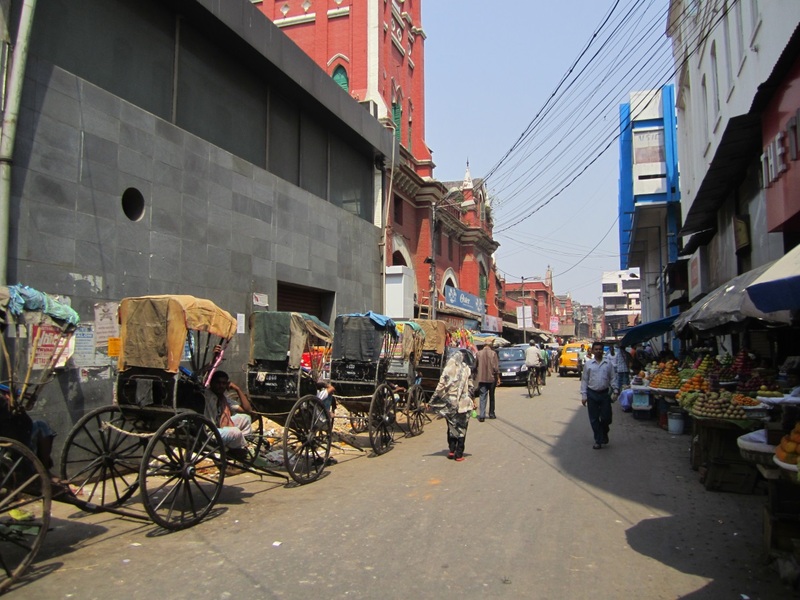 In Kolkata I ended up staying in a very cheap, barebones, locals-only hotel, in a neighborhood where I was the only westerner for miles; because it was the closest hotel to the convention center, only 3 km away. I could walk to the convention. All other hotels (re: higher rated and more expensive) were all 6-10 km away from the convention center. The moral here is never trust the pictures you see on internet travel sites. 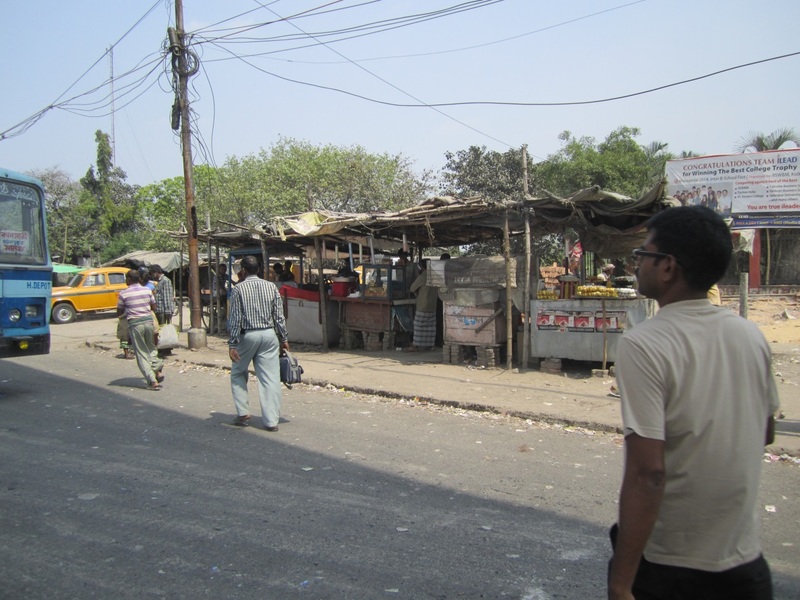 I certainly got a chance to see “authentic” Kolkata, not just the touristy parts, although I saw some of that too. The most annoying thing about clichés is that they are often true. 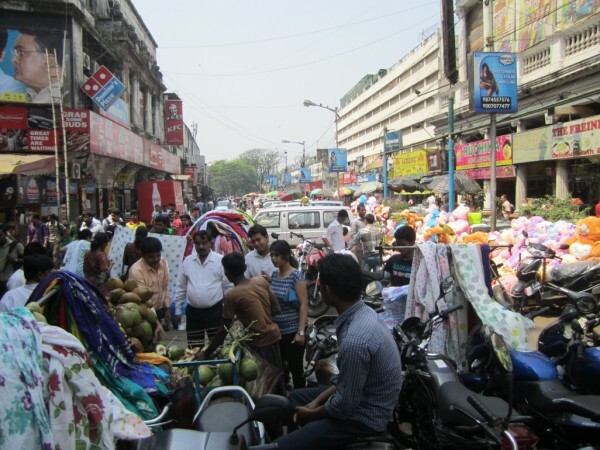 Kolkata, a teaming mass of humanity … Lots of people, noisy crowded streets, mullahs chanting, music constantly being played over public loudspeakers, public ablutions, the poorest poor-the richest rich, friendly/helpful people-lots of stares 'what's he doing here.' Smells: spices-people-industry-motor fumes-trash and litter. 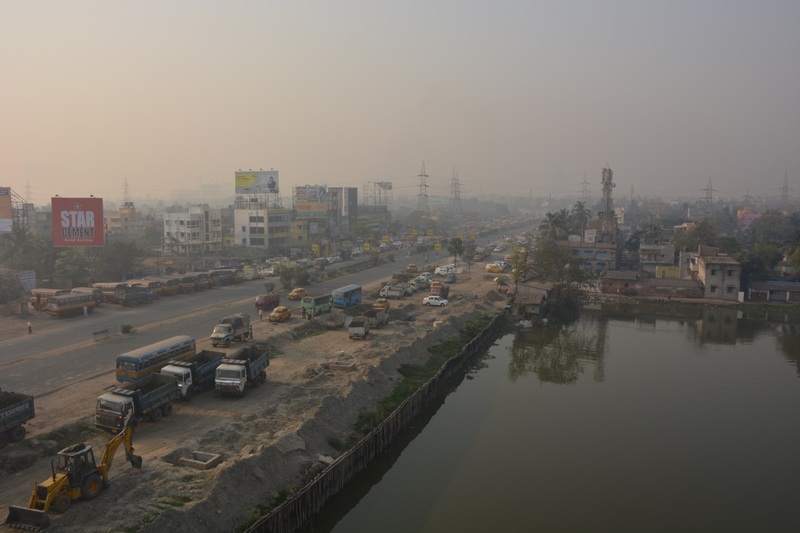 Hot-dusty-dry, mosquitoes, livestock all over the roads (not just cows), dirt roads, CRAZY drivers, push carts, stalls with all manner of goods, lively, thriving, throbbing, pulsing ... Kolkata - City of Joy. View from my hotel room, toward the back of the hotel. View from my hotel room, toward the back, doing the laundry. View from my hotel: toward the front- the street the hotel is located on. For the record, this was not the roughest hotel room I have ever stayed in - that would have been in Guthrie Center, Iowa. More shopping near my hotel. 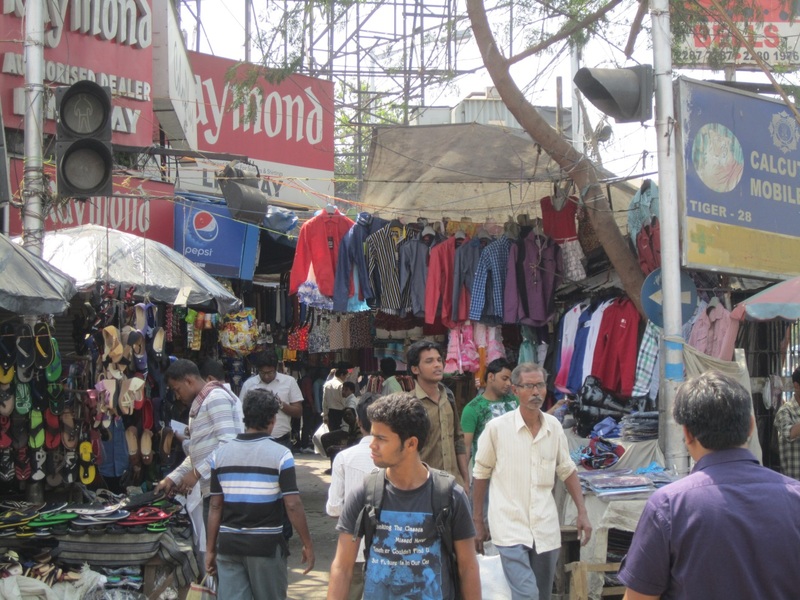 Kolkata street scene: it’s starting to get crazy. To make the shopping easier. 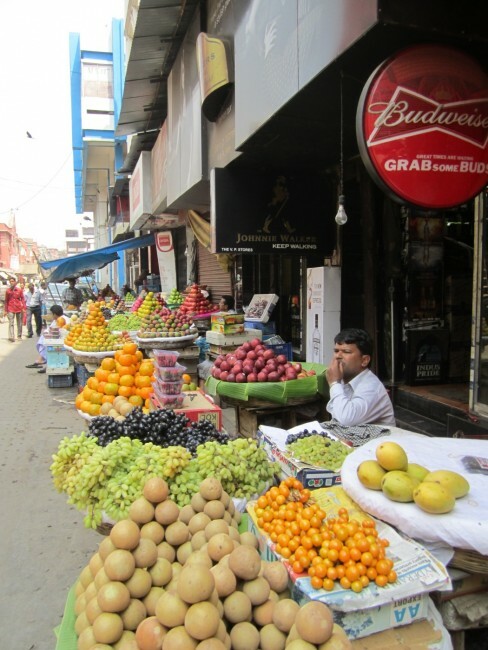 Fruit and vegetable stands were all over India, this was a larger one. These are in lieu of what we call traditional grocery stores-the product looked great and was very fresh-think of our farmer’s markets. 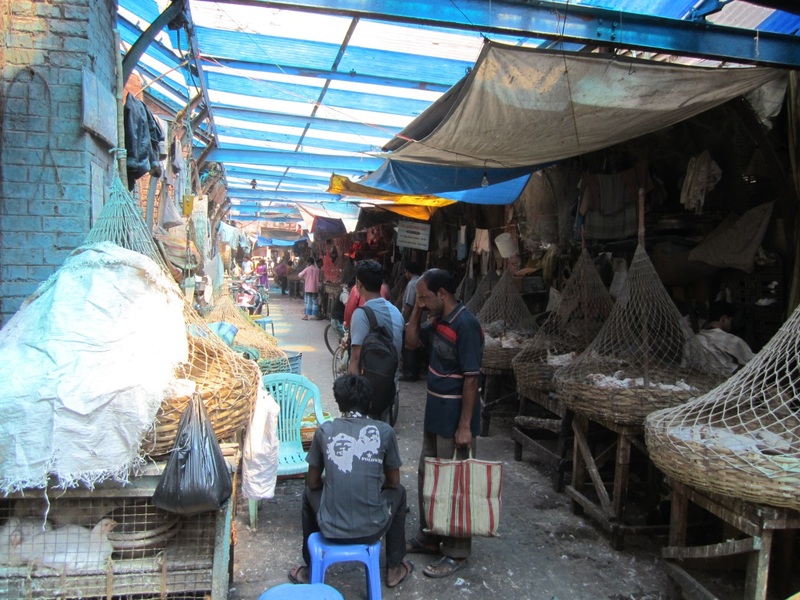 Hogg Market: more fresh groceries; those are chickens running around in those cages. 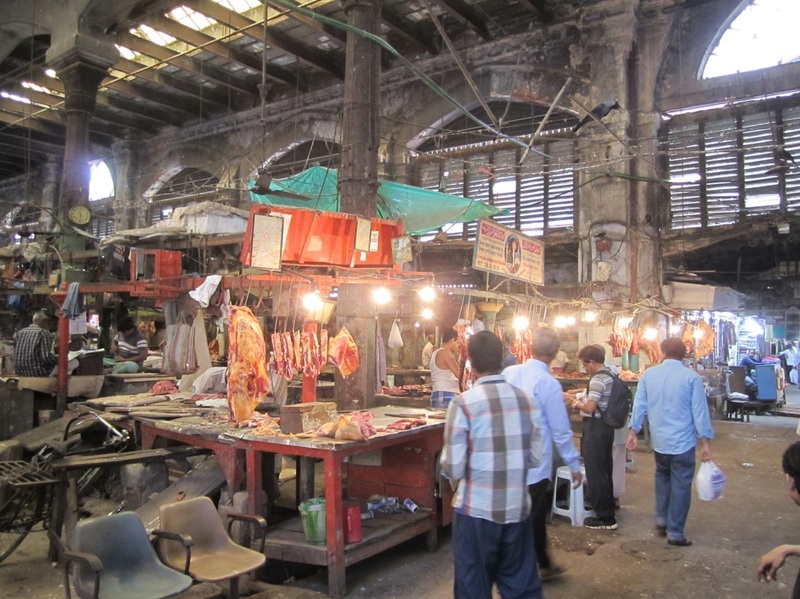 Hogg Market: you can get the exact cut of meat you want. 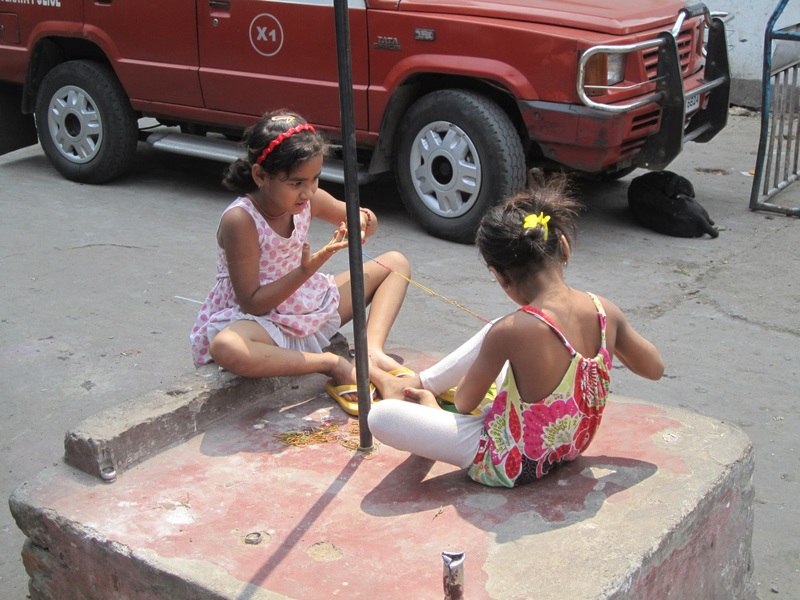 Sisters making bracelets to sell at the market. It took a long time, but I finally found some tea in Kolkata. I hadn’t even seen a chaiwallah. 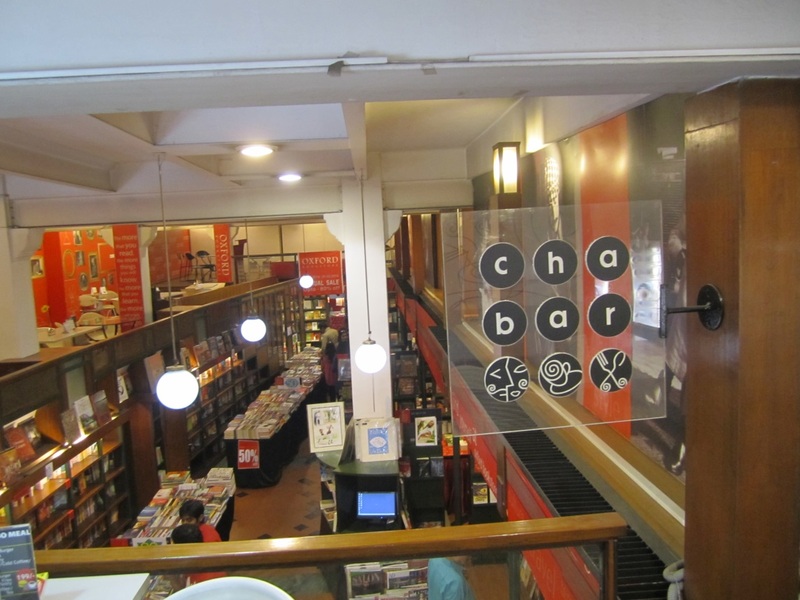 The Cha Bar was located inside Oxford Books, the best book store in Kolkata, of course in the touristy section of town. It actually was a pretty neat layout. A pretty good selection of 50 or 60 teas. And they offered food, not a full blown restaurant, but sort of like a café or diner. 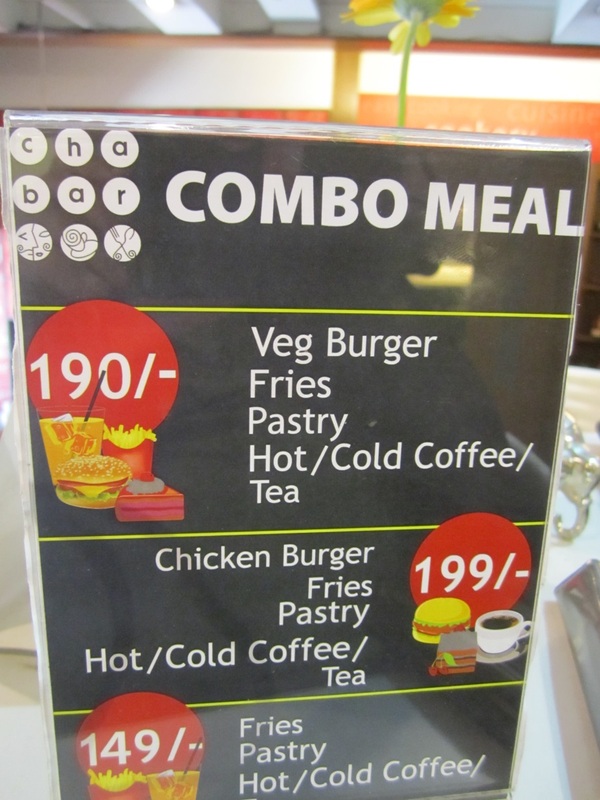 I was going to order some Indian food, but then I noticed this which unfortunately really reminded me of something back in the States. I figured I had to try the India version of a McDonalds knock off. This, along with a pretty good Assam black tea from the Khobong Tea Garden (of course with the assumption that sugar will be used), actually wasn’t bad. 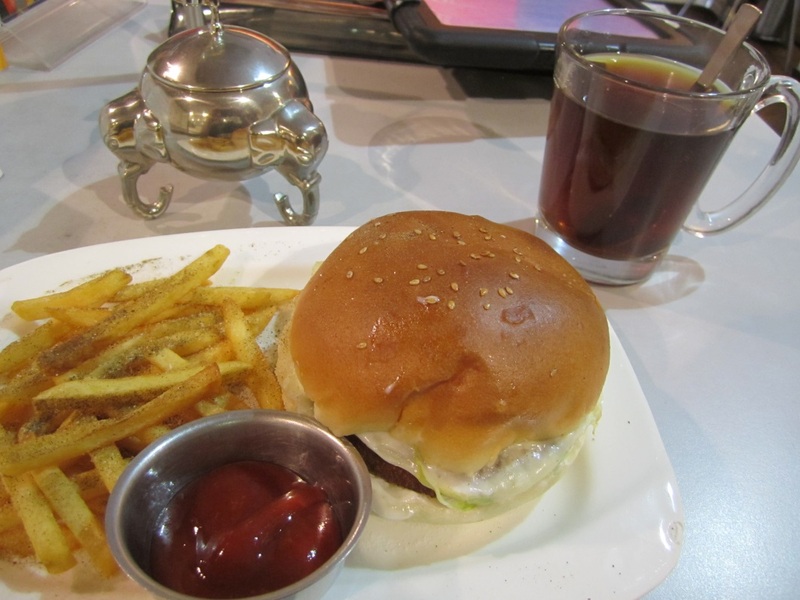 Later on I did run across a real McDonalds, but they don’t serve hamburgers (this is India after all; cows are wandering around the streets-not residing between two pieces of bread). Why are the most ubiquitous American exports those things that we are kind of embarrassed about? 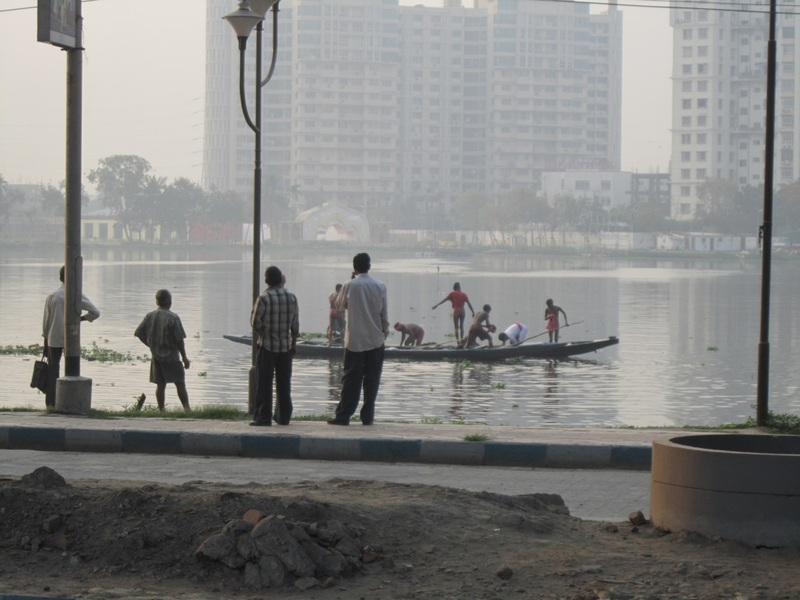 Kolkata is very cool, a little unsettling, and definitely can make you feel like a stranger in a strange land. Up next, the hills of Darjeeling. 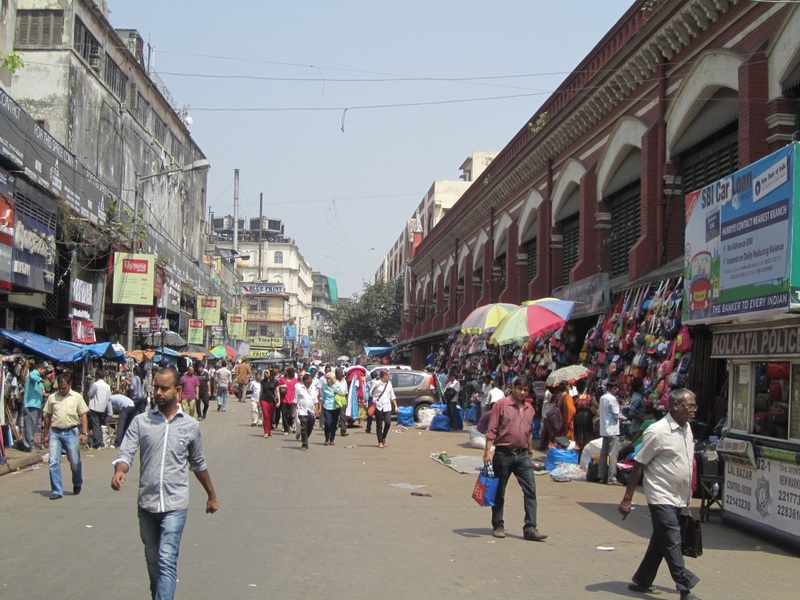 A typical street in Kolkata, India. 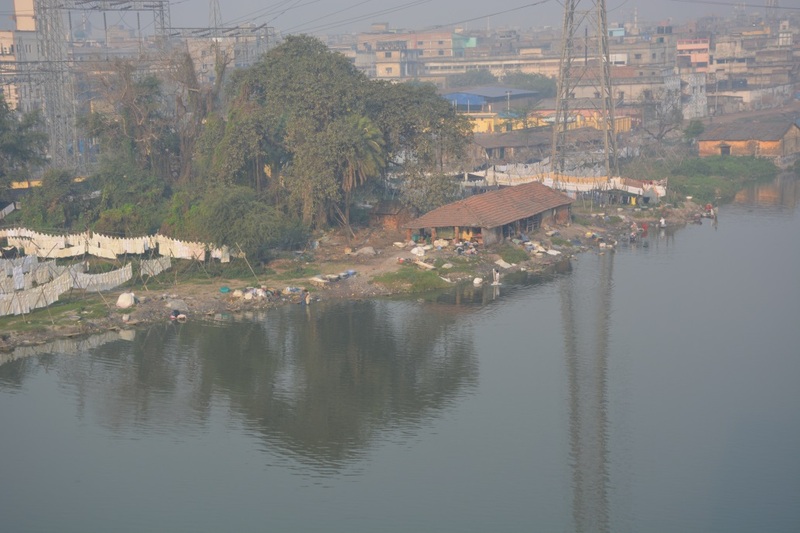 Ostensibly I was in Kolkata because it was a connecting point to the tea regions of Darjeeling and Assam. In addition there was a small tea convention going on there. Also, it was my first chance to visit a famous Indian city. First, the tea convention. For the record, it was the 2nd India International Tea & Coffee Expo. To a large degree it was a bust, at least for me. It was very small, only its second year. It didn’t really have a clear idea of whom it was addressing: importers, growers, packers, retailers, exporters or whom? It was mostly for Indian tea companies, as opposed to foreigners. I was a bit of an oddity (I’m used to that). There were lots of tea garden equipment manufacturers (which was way cool), a few actual tea companies, the official tea boards of India, Darjeeling, Assam Nilgiri, and Kangra- and these were all great contacts for me to make. Geek warning: possibly the coolest part of the convention was the tea garden equipment manufacturers. 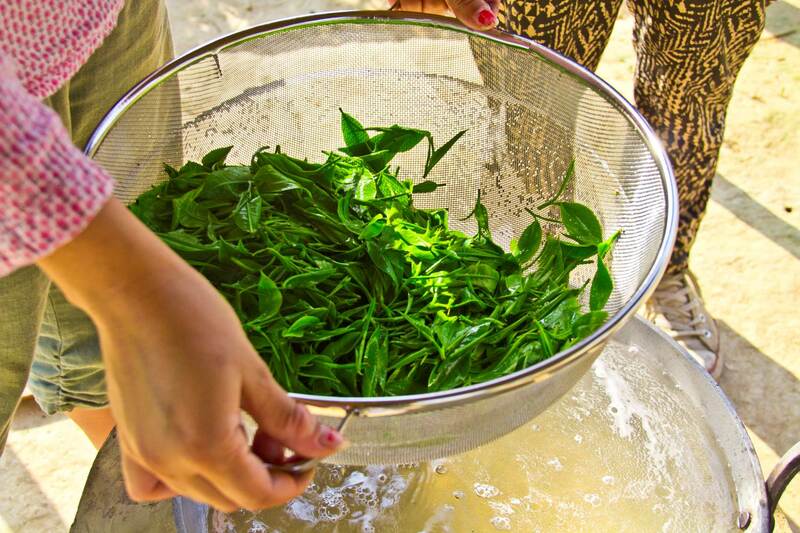 Most of you probably know almost all of the tea TeaSource sells is still hand-plucked (2 leaves & a bud). Two leaves & a bud, waiting to be plucked at the Goomtee Tea Garden, Darjeeling, India. 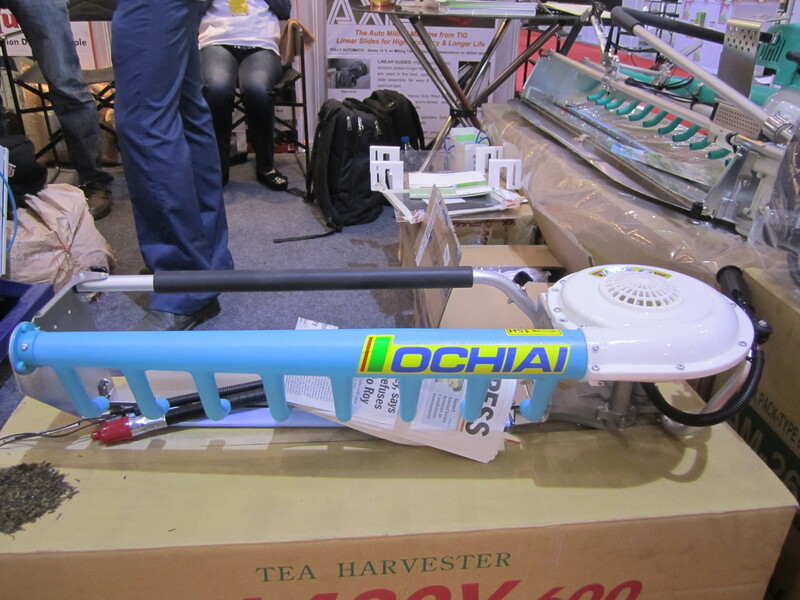 But there are some areas in the world that use machines to pluck tea leaves, particularly Japan. 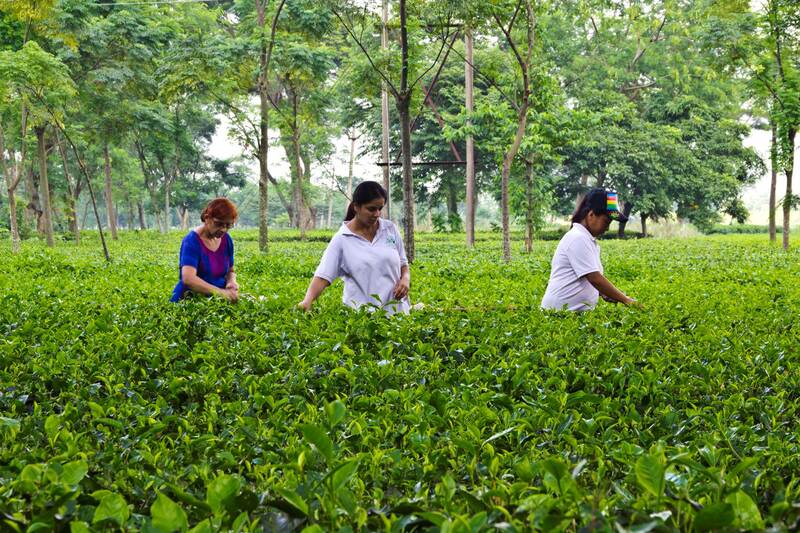 They do this because they don’t have enough skilled labor to go in the tea fields and pluck tea leaves. In fact the Japanese have almost made an art form of creating machinery that delivers a very high quality tea, while reducing the actual labor costs in producing these very high quality teas. 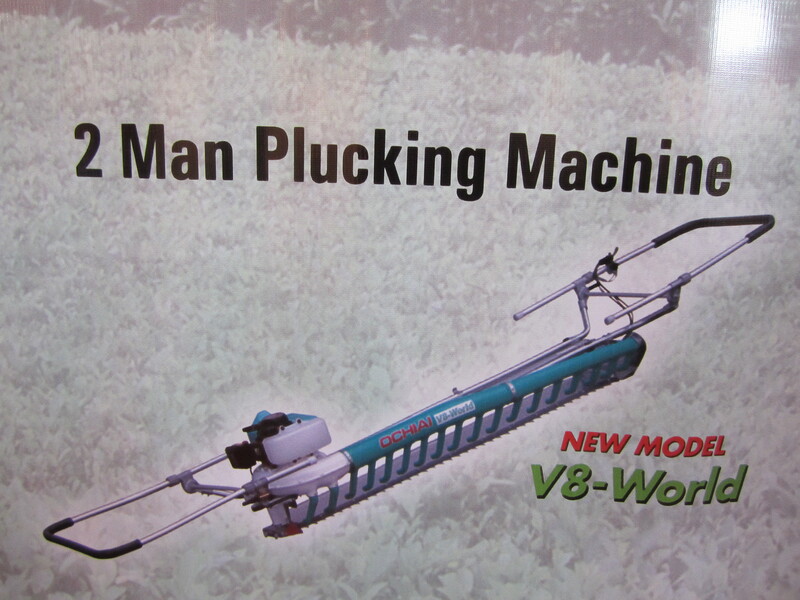 Here is a one person tea plucking machine pic from a catalog. Here’s an actual one man machine. 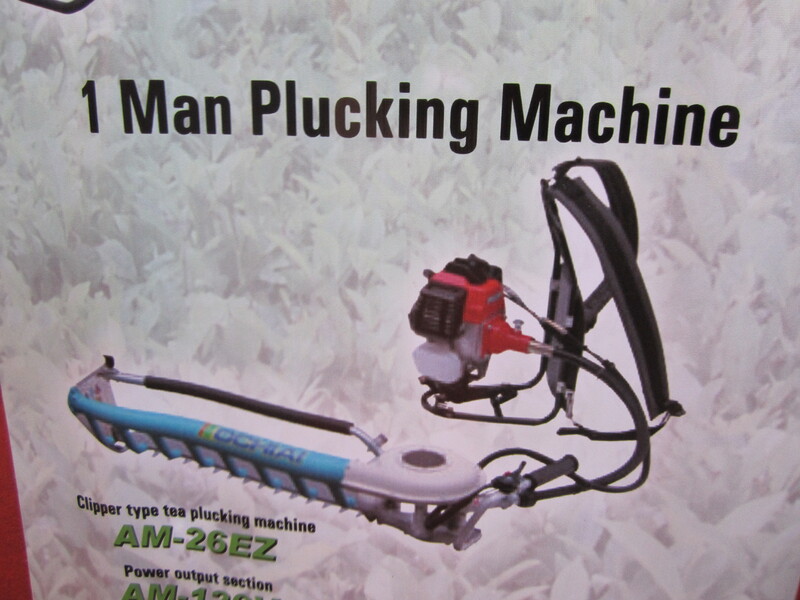 Here is a two person tea plucking machine pic from a catalog. Here is a picture of an actual 2 man machine. 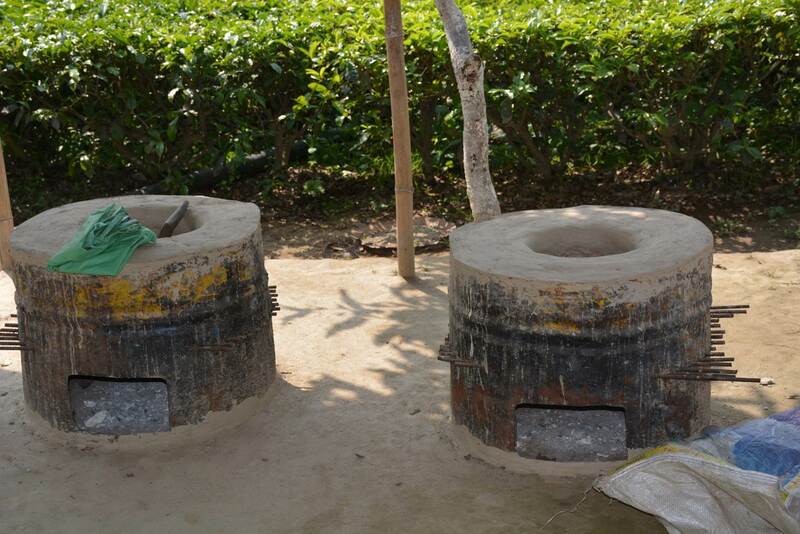 The handles fold out flat, so they can each be grabbed a tea worker. These plucking machines are guided across the very top of the tea rows, which shaves the top very few leaves of the plant and collects them. However, this machine is certainly not as discriminating in choosing and plucking, ‘just the right leaves’ as a skilled tea plucker. This lesser degree of discrimination has led the Japanese to create another very cool machine: an electronic/digital tea leaf sorter that works by detecting the variations in the color of the individual leaves. This is a pretty small scale color tea leaf sorter for small lots of tea. 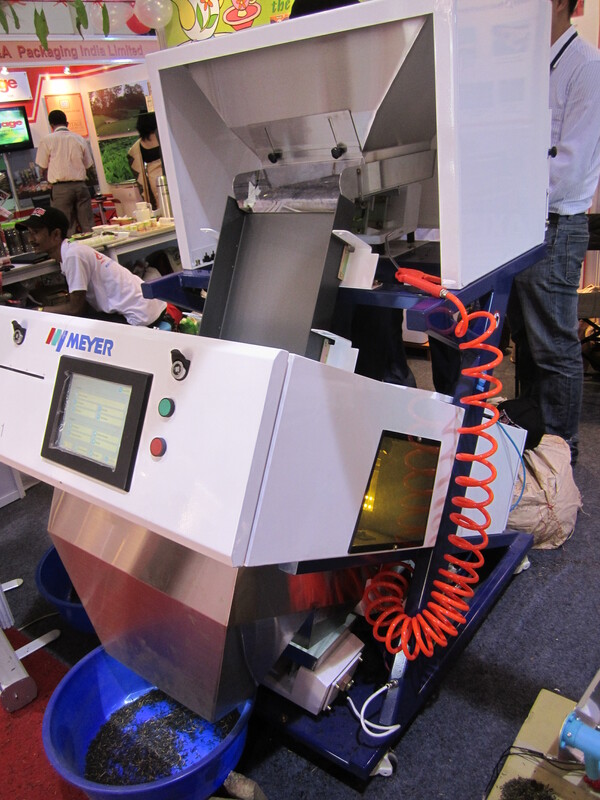 [/caption] The collected leaf is fed through the tea leaf sorter in a steady stream. Then, through the use of very high tech cameras, the color variations amongst the leaves and tea particles are registered and compared to whatever the machine’s program calls for at that time. Any leaves that are not the desired color (which is a reflection of density, moisture content, position on the plant, chlorophyll content, etc.) will be identified and knocked out of the tea leaf stream by a blast of air. 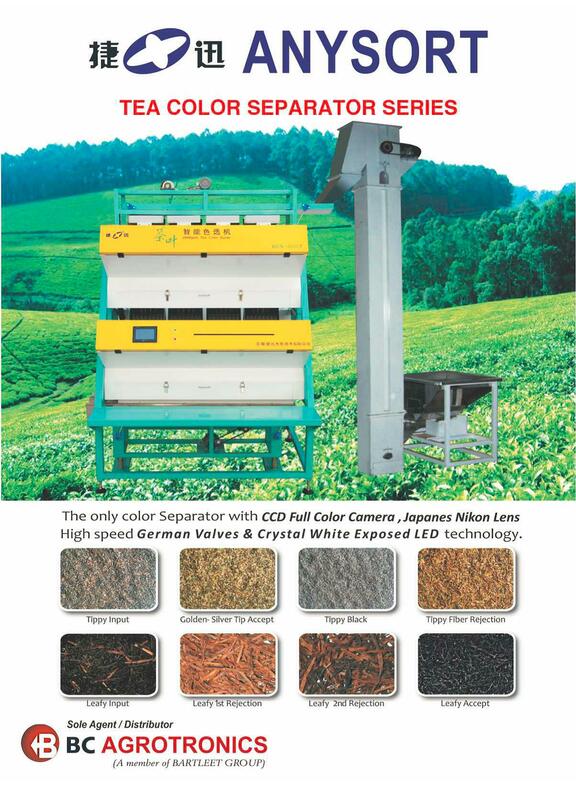 A very large color tea leaf sorter, complete with Nikon lenses on its cameras - it can sort about 800 lbs. of tea per hour. [/caption] This is pretty cool stuff; kind of Star Wars meets tea manufacturing. For better or worse, we will be seeing more of this kind of the thing in the future, as shortage of labor is the second biggest challenge facing all tea manufacturers. 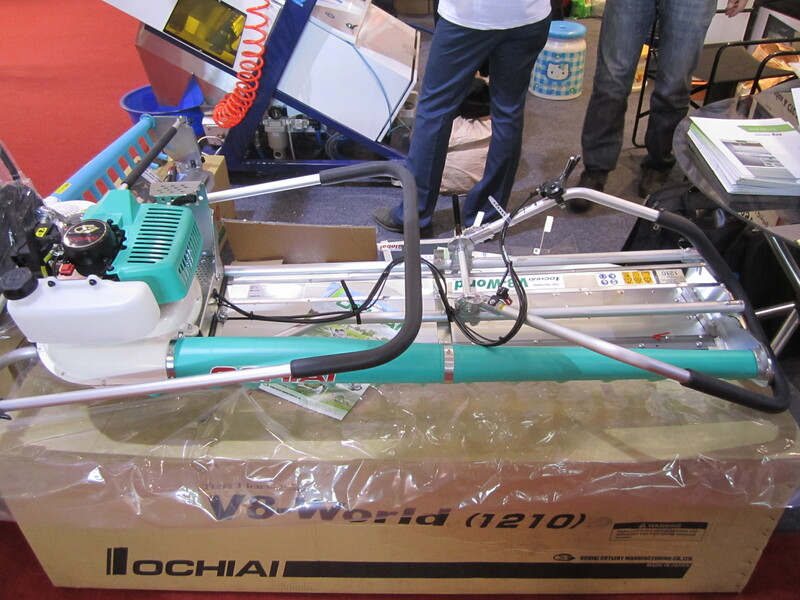 But as I said, the tea convention was a bit of a bust: I made some good contacts, saw some cool machines (and since it was a slow convention I had a chance to sit and chat with the guys who design and build these machines). But that was about it. 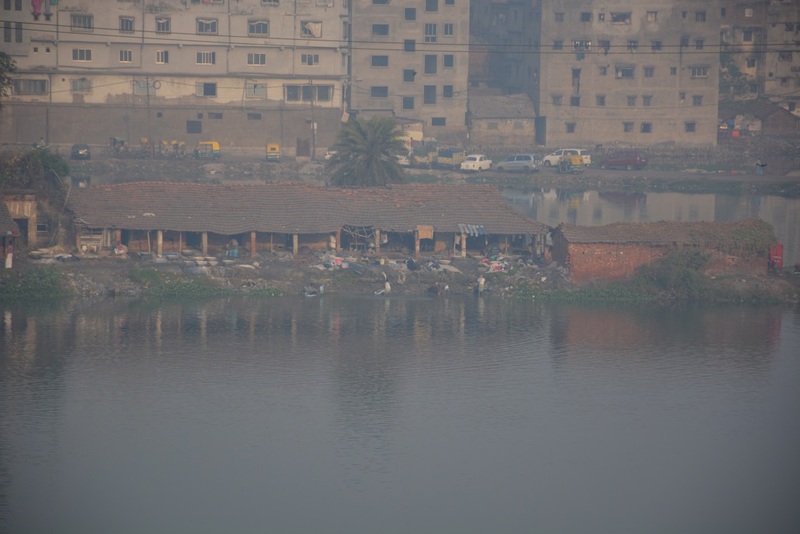 The nicest thing about the convention was it gave me an extra day to explore Kolkata.